Home Mammals Are Mice Nocturnal? Mice are funny and cute little creatures. They tend to rummage through trash cans, food bags and nibble at almost anything. Normally, they forage for food outside during summer but the cold winter compels them to seek out food and shelter in places that are warm and cozy like homes, buildings etc. As far as house mice are concerned, you rarely see them in daylight which makes most of us to wonder are mice nocturnal, crepuscular or diurnal species? Mice make a lot of noises like squeaking, scampering and gnawing. But all these noises occur in the hours of darkness so in order to explore their behavior, let’s dive right in! Are Mice Nocturnal or Diurnal? They have highly flexible bodies since they can squeeze through tiny cracks or holes of buildings that may be as small as one-fourth of an inch or pencil eraser. This sometimes creates a lot of nuisance for homeowners especially during winter, because they tend to reproduce rapidly and build colonies inside homes. 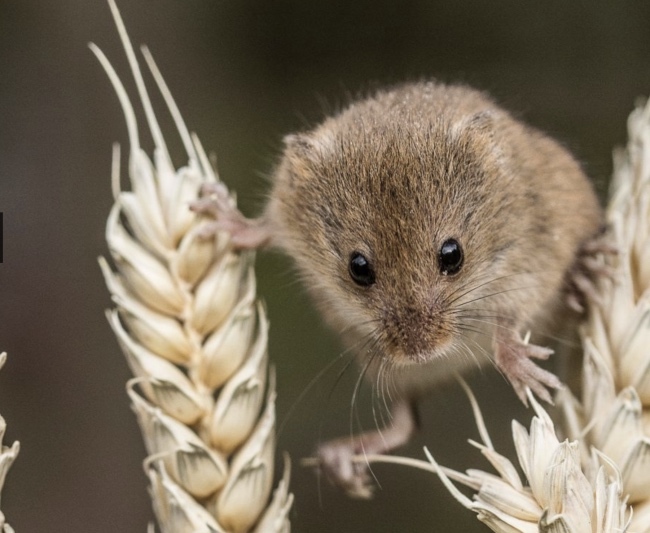 Like humans, mice also need food and shelter to survive. Where there are abundant food sources, they would frequently come out and feed on them. However, most of the activity occurs during night whereas they rarely come out in daylight. Learn more: Can Mice Climb Stairs and Walls? Most mouse species are either nocturnal or crepuscular but they are certainly not diurnal. They simply hate sunlight which is probably why they nest in hidden places that are undisturbed and have no light. However, they take residence in places from where food is nearby. Learn more: Are Mice Dangerous? During the day, mice take a nap and house mice may sleep as long as 12 hours every day. Therefore, unlike humans that take sleep at night and active in daylight, mice are active after sunset and sleep all day long. However, the specific environment under which a mouse survives is one of the most important factors in determining its sleeping behavior. In the wild, the mice are active during sunrise and sunset. This is because they take advantage of low light and forage for food, while they remain out of harm’s way (from predators) at the same time. It means when mice feel if there is no danger outside, it may come out and seek out food. Likewise, house mice usually come out at night simply because people tend to sleep at this time and there is complete silence around. This signals the mouse that there is least danger outside and therefore, it sneaks out of its nest. Last but not the least; since they have poor eyesight, the low light conditions are perfect for mice to search for food. Thus, it is far easy for them to navigate at dawn and dusk and also avoid getting eaten up.